The V-1094A is a solid-state audio preamplifier capable of driving 150 Valcom one-way speaker/amplifier assemblies. 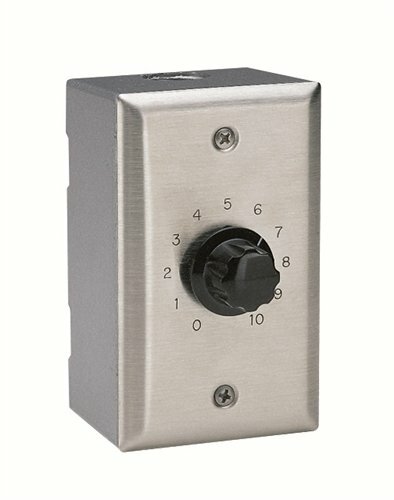 The V-1094A features a stainless steel plate with embossed numbers and fits a single gang electrical wall box. The page port preamp/expander will interface 600 ohm type page ports to up to 150 Valcom amplified speakers or expand the number of Valcom amplified speakers on a zone by 150.